Sick at home. Time to cook something good and healthy. 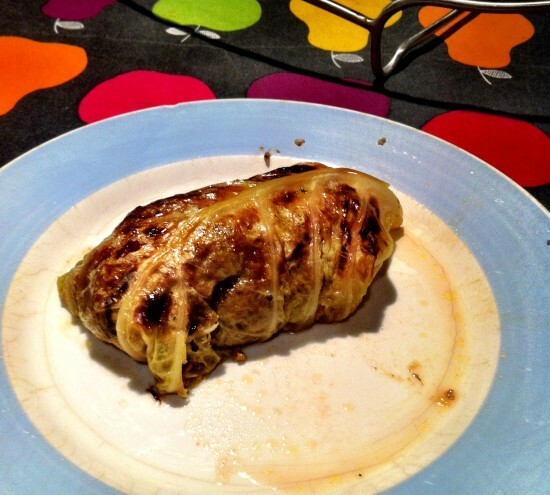 Here is one classic German dish: Stuffed cabbage. 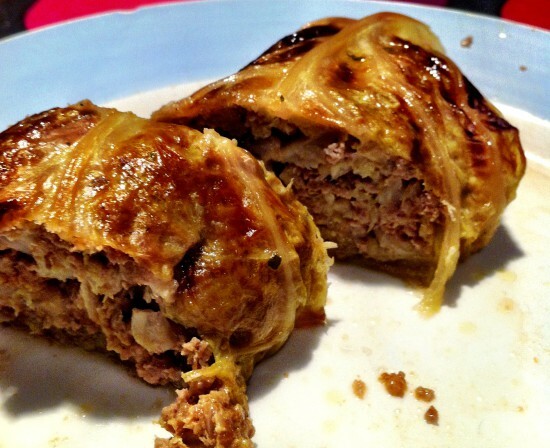 In this case done with savoy cabbage and minced meat. A great winter meal to have with potatoes or just bread. Cabbage is great in winter time. It’s full of vitamins and other nutrients, it’s cheap and the taste can be very elegant depending on the sort and the way you prepare it. It’s also a very German thing, we like all sorts of cabbage, white one, red one, Sauerkraut, Brussels sprout, you name it. Dig into German culture and try it out! 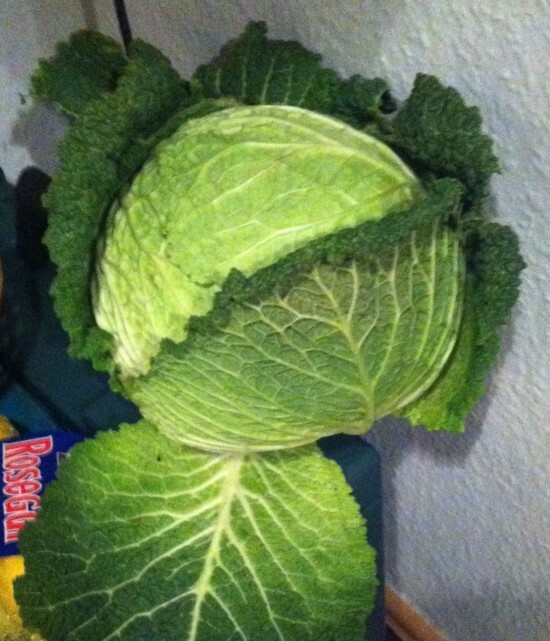 Go ahead and buy a whole head of savoy cabbage. It should look like this and enough for 3-4 persons.